I’ve told other people’s stories as a newspaper journalist for five years. But the story that’s been the hardest for me to reconcile is that of my own family. My grandparents on one side were forced to live in Japanese internment camps during World War II. My grandmother on the other side lost her parents in the atomic bomb on Hiroshima. Later, their children — my parents — were called names by their American classmates for the slant of their eyes. As a fourth-generation Japanese American, or Yonsei, I listen to these stories, jot them down in a notebook and feel a tinge of guilt. I’ve never shown the kind of resilience my family did. I’ve never had to. The responsibility of carrying on a family legacy shaped by war and race is one that many young Japanese Americans bear. We recognize that our families’ Japanese identity is an undoubtable part of our histories. But in reality, there’s a lot we don’t know about our heritage or our families’ motherland. In the past two weeks, I was given a chance to explore my Japanese heritage in a way I haven’t before. 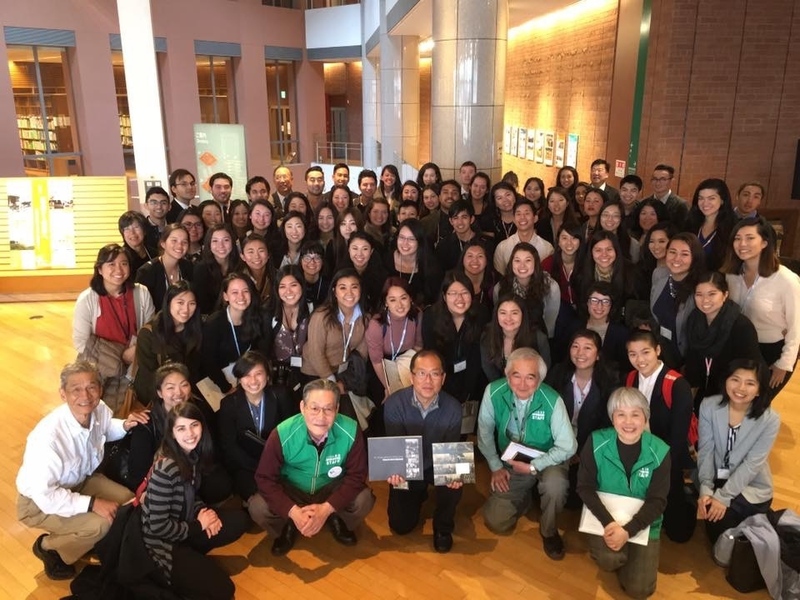 I took part in the Kakehashi Project, which sends scores of Japanese and Asian Americans to Japan each year on a free trip to learn about the country’s culture, foreign policy and people. The trip is administered by the Japanese American Citizens League and sponsored by the Japanese government. The idea behind the investment is that young people are key to building closer relations between Japan and America. To thank their sponsors for this opportunity and to show gratitude, Kakehashi participants promise to share what they learn from the trip with as many people as they can. I was one of about 70 people on the most recent Kakehashi trip, which ran from March 13-21. I met many people who, like me, were Yonsei. Many of us knew scraps of Japanese, but not enough to hold a natural conversation. We had listened to relatives’ stories of how a world war, an executive order and two atomic bombs shaped our family histories, but struggled to reconcile that pained past with our easier present. For the first time, I also met fifth-generation Japanese Americans, or Gosei, who were about my age. I met many more mixed-race Japanese Americans. I met Japanese Americans who couldn’t speak any Japanese or recognize Japanese dishes we ate, such as chawanmushi (steamed egg curd) or shabu shabu (Japanese hot pot). I met Kakehashi participants who don’t have a drop of Japanese blood in them, but were ready to use the knowledge gained from this trip to build bridges across Asian American communities. There was something novel and empowering about being with other young Japanese Americans. I got to have conversations that I don’t have with most people. Sometimes we lamented, for example, how we wish our parents had forced us to attend Japanese language school on Saturday mornings. We listed our favorite Japanese foods and complained how hard it is to find good sushi or ramen where we live, in places like Missouri and Idaho. We devised plans to return to Japan someday and analyzed what we would have to change about ourselves to blend in. For most of us, the trip was our first glimpse at a motherland we had simultaneously known about all our lives and yet hardly knew at all. Many of our grandparents had been told to abandon the Japanese language, bury Japanese customs and assimilate into a country that would otherwise not welcome them. In a way, Kakehashi was about helping us reclaim that identity and understand what it means. Over the course of the trip, we practiced our basic language skills with homestay families who own small rice farms in Kamogawa. We slept on the floor and gave thanks for every meal before eating. 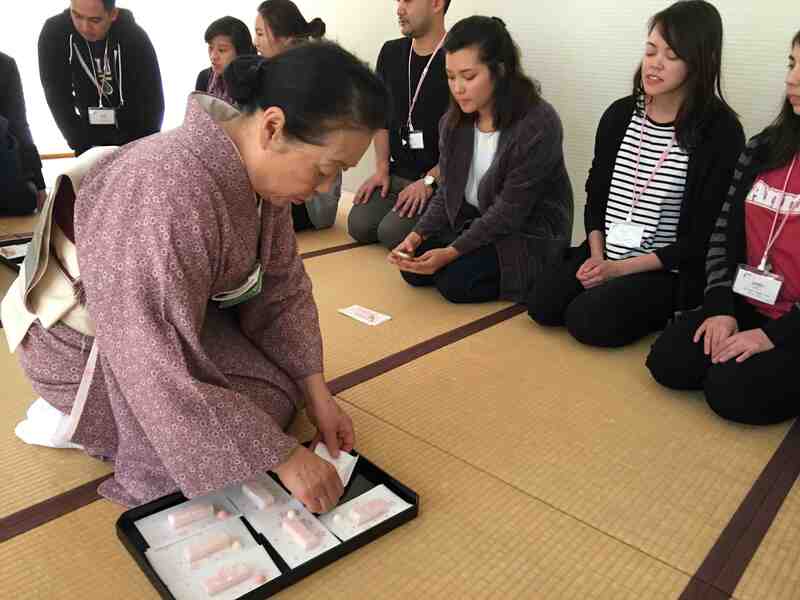 We learned from university students how to participate in a tea ceremony and practice calligraphy. 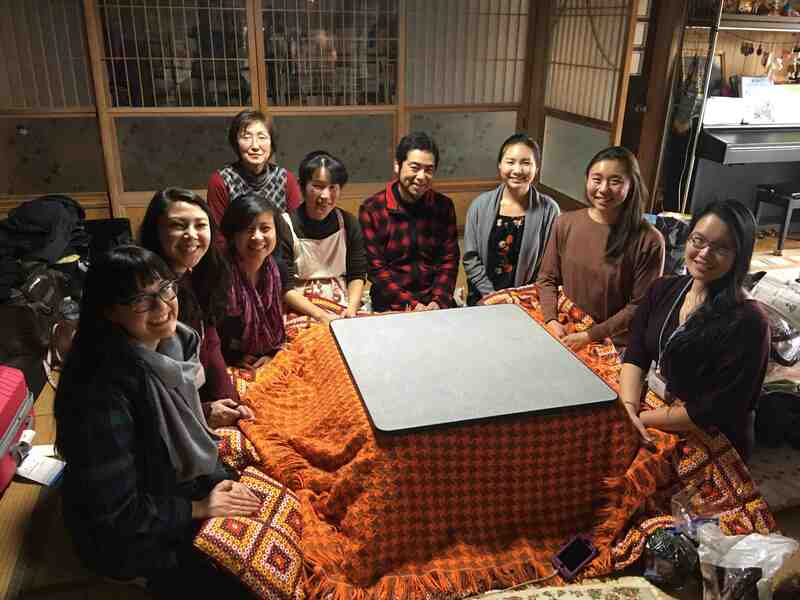 We heard lectures about Japanese foreign policy, sustainable rice farming practices and the experiences of Nikkei, which refers to people of Japanese ancestry living outside of Japan. And inevitably, we indulged in heaps of Japanese food — sashimi, pork cutlet, rice, udon noodles, grilled fish, mochi and more — three times a day. We learned a good amount about Japan, but we also learned how much we are not Japanese. 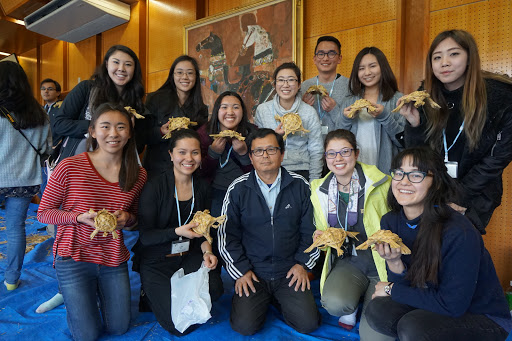 In the land of our ancestors, we “stuck out like a sore thumb,” as one Kakehashi participant said. Turns out, several Japanese people we encountered knew little about Nikkei and had never met one before. We surprised Japanese natives when we opened our mouths to speak and poured out casual American English instead of formal Japanese. Strangers passing silently on crowded Tokyo streets stared at us when we talked and laughed loudly in a group. All the little mannerisms it takes to pass as Japanese — bowing, offering money with two hands and not one, the correct way of holding chopsticks — had to be taught to us through a webinar and our Kakehashi program booklet. Even if we could get all of that perfect, our makeup, hair, clothes and even faces would still give us away. But I don’t think that’s a problem. We were told on the trip that, as young Japanese Americans, we have unique perspectives that Japanese people lack. Our story is one we can tell on our own. Excited by what I saw in Japan, I’ve retrieved my old Japanese language textbooks from the closet and am already searching online prices for flights back to Japan. The thought that I can better know Japan is enticing, as if I could repay my ancestors for their struggles if I just learn how to speak Japanese properly or meet more people in Japan. If anything, I take comfort in what I took from the Kakehashi trip — that this kind of learning and longing are what it means to be Nikkei. Kristen Taketa is a fourth-generation Japanese American from Torrance. 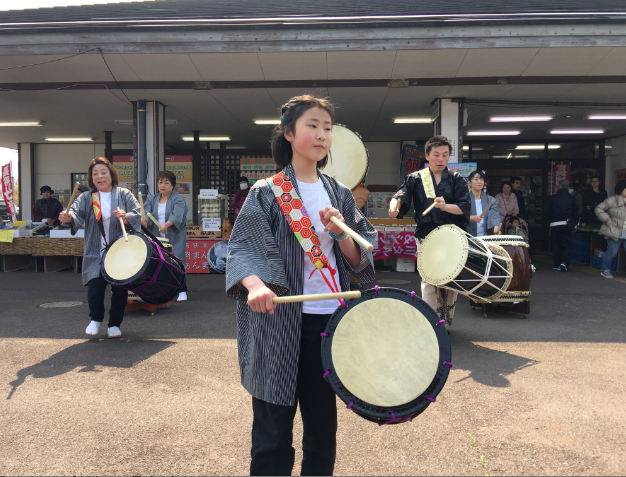 She was one of about 70 participants in the most recent Kakehashi Project trip. She is currently an education reporter at The St. Louis Post-Dispatch in St. Louis, Mo. This article was originally published in The Pacific Citizen.